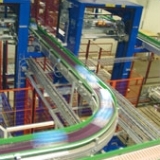 Each production line has its own specific characteristics. For instance, buffering may be needed, or the process may require a lot of packaging. In short, pallet and product transport requires custom-build solutions. Tallpack International will be pleased to offer advice about the best solutions for internal transport. 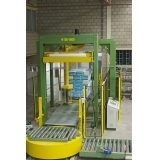 robust chain or roller-based pallet transport systems.